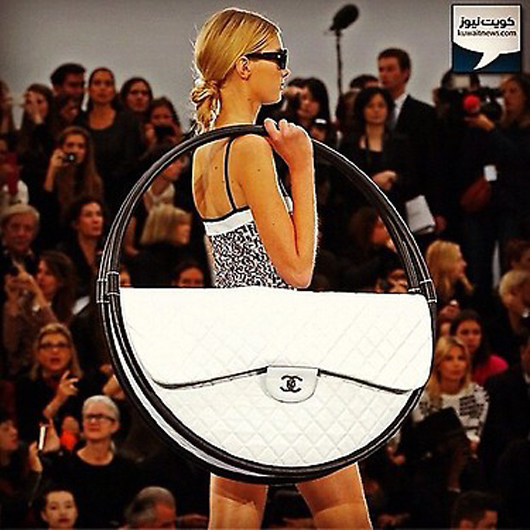 Karl Lagerfeld explains Chanel's hula-hoop beach bag! 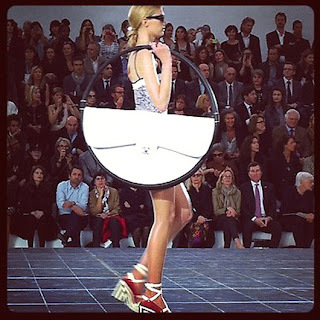 For his latest Chanel collection Karl Lagerfeld created a bag we didn't even realise there was a need for. Until now. At the Chanel spring 2013 show, Karl Lagerfeld presented the above massive accessory at the Grand Palais in Paris: a quilted hula-hoop/beach bag hybrid. When the Telegraph asked him what one might need something like this for, he explained: "It's for the beach. 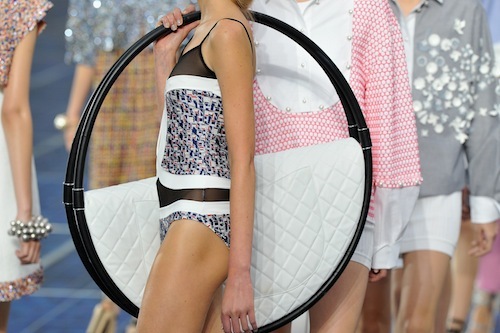 You need space for the beach towel, huh? And then you can put it into the sand and hang things on it." Which makes sense, actually, except there are a lot of other, less expensive ways to hang your wet bathing suit at the beach. Like, on your umbrella. 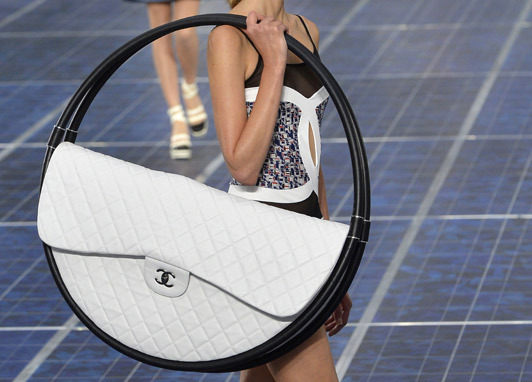 Or on a surfboard, if you're into that. 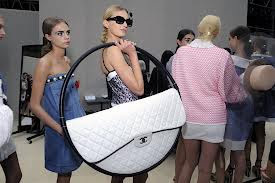 Or on the back of your beach chair, like the rest of the world who might not have the upper body strength to tote that thing around. Picture the scene. 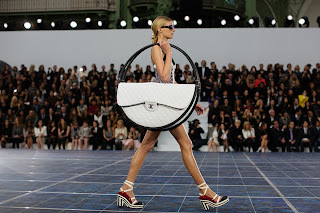 You've touched down in St Tropez, your porter has diligently delivered your Chanel-logo'ed surf board, beach ball raquets, inflatable raft and ergonomic hand flippers (seriously) and you're on your private patch of beach toying with idea of going for a swim in the same sea that Kate Moss has just dived off her yacht into. 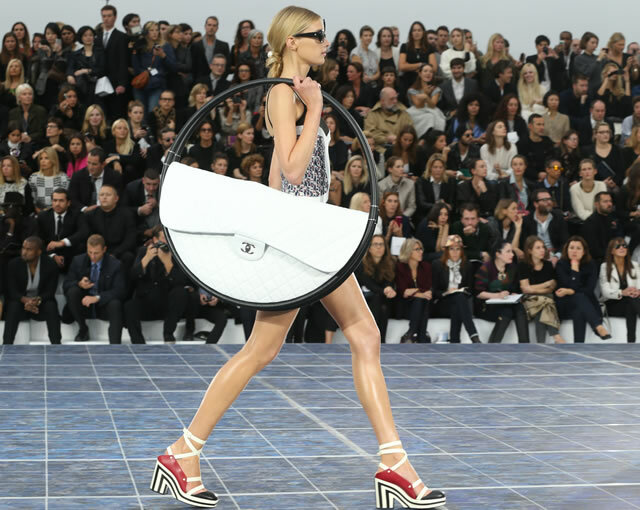 Dip completed, you emerge from the clear, sun-drenched waters to dry off with your Chanel towel - but wait! What does one do with a soggy designer towel? 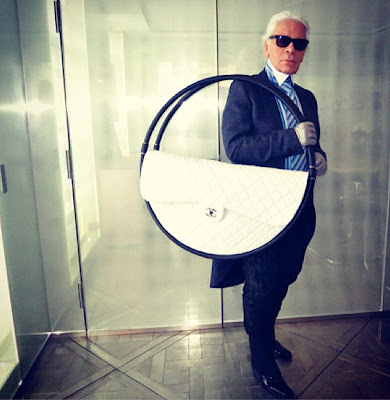 Ladies and gentlemen, design maverick Karl Lagerfeld has just the thing. 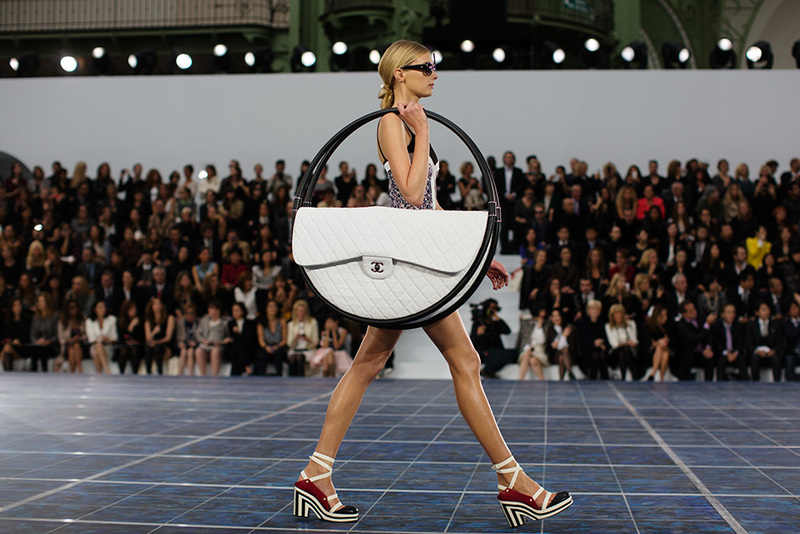 The showstopping, hula-hoop rings nestling a classic quilted Chanel bag showcased as part of the label's spring/summer 2013 show yesterday was the haute answer to a drying rack. 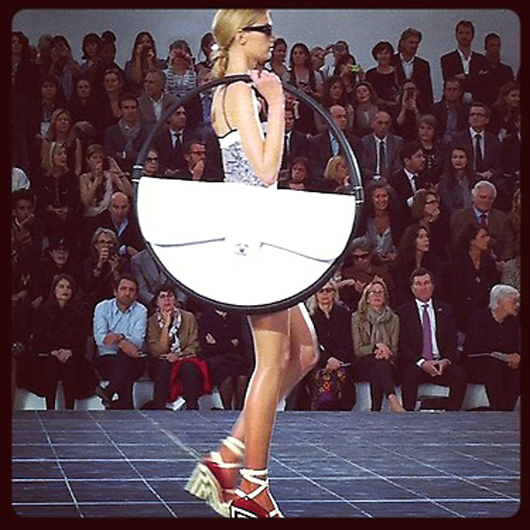 "It's for the beach" Lagerfeld explained after the show in the Grand Palais. "You need space for the beach towel, huh? 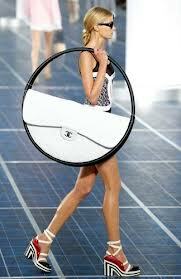 And then you can put it into the sand and hang things on it."